What Are The Advantages of Owning An Online Business? One thing I’ve come to realise recently is that most people who’ve never made money online before don’t truly understand the benefits that an internet business can provide. Many people are stuck in the mind-set of thinking like an ‘employee’ and cannot comprehend just how lucrative an internet business can prove to be. I’m sure that if more people understood the possibilities an internet business can provide, then many more people would be getting involved. 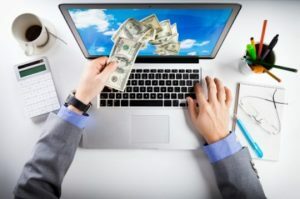 So I’ve put this post together to share with you the benefits of starting an internet business, and to show you how it can be much more lucrative than a traditional business. On top of that I also want to show you how you can supplement your current income by running an internet business ‘part time’. Your business has a 24-hour stream of customers unlike any other. The first thought that probably ran through your head after reading that was “well a traditional business can open 24 hours” – and that’s true, but an internet business has a 24-stream of daytime customers. See if you open a traditional business and run it around the clock, the amount of customers you get dramatically reduces as night time rolls in since most people are kicking back at home & getting ready to go to sleep. With an internet business you have the ability to target customers from all over the world, meaning it’s always daytime somewhere so you are able to keep a consistent stream of visitors to your “shop” regardless of what time it is where you are. No drop-offs like a traditional business, just a consistent flow of customers coming through ready to buy whatever it is your selling. You don’t need to show up. With a traditional business if you wanted to make any money you’d have to head down, open up shop and work (or pay someone to work for you). With an internet business you don’t have to worry about any of that – once it’s launched, it’s launched. Your customers have the ability to pop in & purchase whenever they like – regardless of where you are or what you’re doing. You could be in bed for all it matters, and you’d still be able to make money. Can you do that with a traditional business? Yes you can, but only if you’re paying people to work for you and only when you grow your business to a substantial size. With an internet business you can get it to a stage where it’s making money “for you” in just a matter of weeks or months – without having to employ any staff to take care of it in your absence. Take a day off, still get paid. This is similar to the last point I just made, but I just want to share the true freedom with you that an internet business provides. Let’s say you’re running a traditional business & you decide you’d like to take the day off to do something with your friends or family – you’d either have to shut up shop (and stop making money) or make arrangements for people to manage it in your absence. With an internet business you don’t need to worry about that – just head on out and the business will take care of itself. Then simply pick up where you left off whenever you get back home. Work on your business from anywhere. ne of the huge advantages to running an online business is that you can literally work on your business anywhere you like. 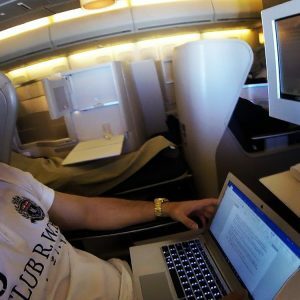 And I do mean literally anywhere – right now I’m on an aeroplane heading out to Las Vegas whilst writing this post… So if I can do it whilst 10,000+ foot in the air I’m pretty sure you’ll be OK squeezing a bit of time in at home. Have the ability to reach millions of people at your fingertips. When running a traditional business you’re restricted to serving the amount of people are in the area that surrounds the location of your business. To gain more custom you’d have to open up more branches – which obviously costs substantial amounts of money & would be difficult to do if you were just starting out. With internet businesses you have the potential from day 1 to reach an audience of over 1 billion people – so I’m sure you can imagine the sheer amount of potential that comes with that. You’ve over a billion people you can market your product(s) to – and you are marketing your products to these people around the clock. Imagine running a traditional business and a new person popping into your store every minute – you’d think you’d hit the jackpot, well that’s pretty much what an internet business is like. This is one of the biggest points of creating an online business, and it’s something I personally call the 24-7 rule. Basically when people who have worked most of their lives for a ‘boss’ decide they want to leave their job & pursue their own business they often remain focused on “what they’ll make per hour”… Because that’s how they’re used to getting paid. Business doesn’t quite work like that, but to show people how powerful an internet business is I love to share with them the 24-7 rule. So let’s say you work 8 hours a day, and you earn $10 per hour… That’s $80 per day. But most people only work 5 days in a week, so that would mean you’d be earning $400 each week. It’s not a bad sum of money, but it’s hardly the greatest sum in the world either. Now to earn that same $400 in a week online, you would only have to make a mere $2.38 an hour. That’s because remember what we talked about above? Your online business is working for you around the clock – it’s always daytime somewhere so people are constantly ready to purchase from you. There are many, many benefits to running an online business and that’s why I massively recommend that if you’re not already doing something online then you look into getting started. By not leveraging the power of the internet you’re leaving a lot of money on the table – and it’s not as if you need expert skills or tons of free time to do it – building an online business is something you can very easily do in your spare time providing you’re willing to dedicate yourself to the cause. It’s one of those things where in 5 years time you’ll have wish you started now… So take the first step and do something about it today. There’s plenty of information on this blog alone but as well with Google at hand to help you’ve got no excuses for not getting started – the information is out there, it’s just a case of taking action on it. If you have any questions about how you can get started feel free to leave a comment below and I’d be more than happy to point you in the right direction. 4 Responses to "What Are The Advantages of Owning An Online Business?" I’m trying to find and online job, to be self sufficient, need income to live on. I worked for years on jobs,I can no longer do that anymore since I became ill. I don’t want to be a burden on anyone.I need something easy I’m not very computer savvy what would you recommend. Terry, have a look around my blog there’s plenty of recommendations.